Beloved by parents and babies, the Blooming Bath makes bath time easier! Each Blooming Bath is handmade from soft polyester and the petals conform to any sink, cradling your baby and making bath time more fun and comfortable. With the Blooming Bath, parents don’t need to worry about kneeling over a tub or nervously handling a slippery baby. 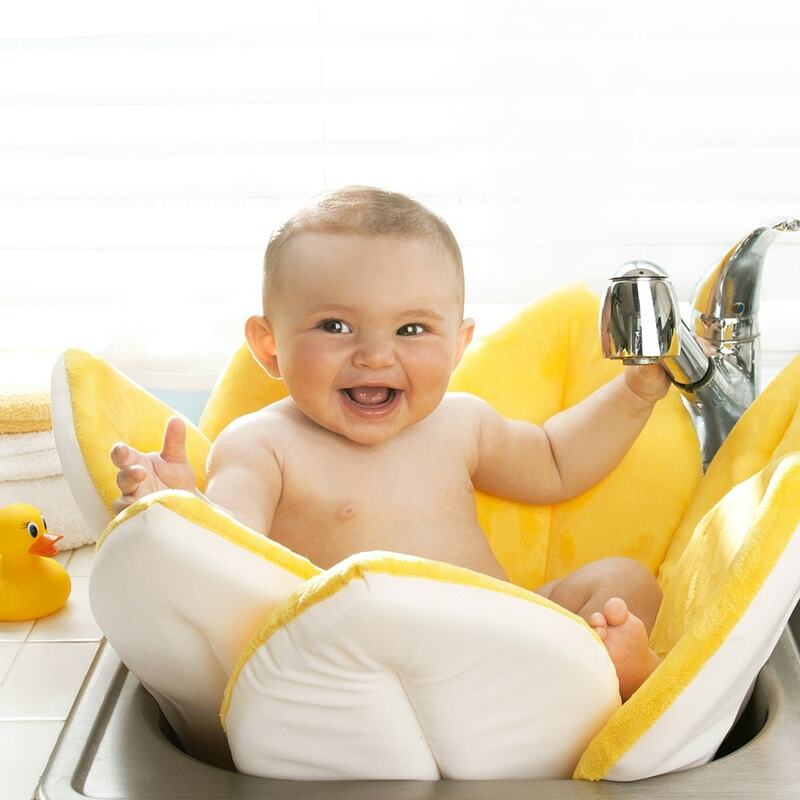 With this plush flower, baby baths are adorable and fun for everyone! There are two models of the Blooming Bath you can choose: the original Blooming Bath and the Blooming Bath Lotus that’s a different shape and style from the original. You can also pick between multiple colors! The Blooming Bath is recommended for newborns and babies up to 6 months of age, but it has been used to help transition infants to the grown up bathtub. Why use a hard plastic tub when you can bathe your baby in a cuddly soft plush flower?